Catherine A. Rude represents businesses and individuals throughout the United States in complex and sophisticated tax controversy and tax litigation matters before the United States Tax Court, United States Court of Claims, United States District Courts, Internal Revenue Service, California Franchise Tax Board, California Board of Equalization and California Employment Development Department. Catherine A. Rude is a federal tax attorney and is not admitted in the State of Texas. She is licensed in the State of California. Her practice is limited to matters before the Internal Revenue Service, the U.S. Treasury Department and the United States Tax Court. Ms. Rude's legal experience includes cases involving fraudulent tax preparers, failed pension plans, worker classification issues, and personal assessments of business payroll and sales tax. 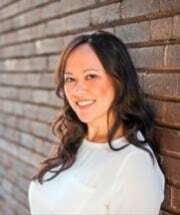 She was awarded a Master of Laws in Taxation from the University of San Diego, where she was honored as Merit Scholar, and a Juris Doctor from the University of Washington. Before entering the legal profession, Ms. Rude worked as a Buyer for Whole Foods Market and as an Actor at various professional theaters throughout the United States. Her background uniquely qualifies her to represent clients in tax controversy matters because of her ease with communication in complex situations.